Losing data from your iPad can be painful as most of the people store their important data in their iPads. The loss of data can be because of any of the reasons-accidental deletion, formatting error, lost or stolen iPad or water damage. If you are an iPad user and reading this post, there is no doubt your iPad data is somehow lost, and you are looking for an optimal solution. Well, you have come to the right place. Irrespective of how you lost your iPad data at the first place, this article depicts every possible solution to iPad data recovery. Before we get to the point, there are a few basic things we’d like you to understand. Q 1. 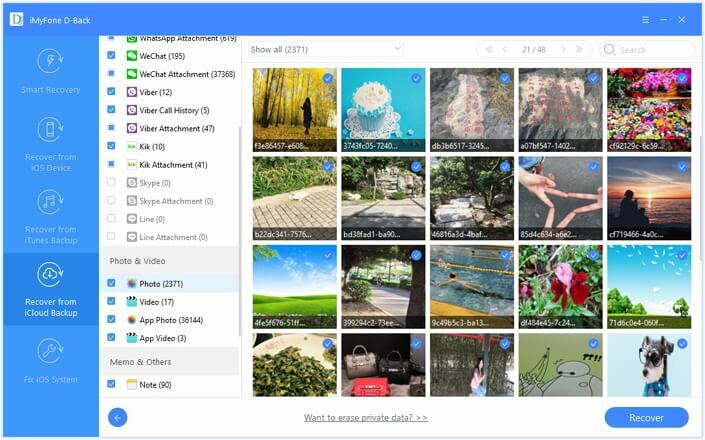 Where Do the Files Go after Deletion? iOS devices use a unique database called SQLite which holds onto the deleted data for a certain time. When a certain type of data is stored on iPad, it is marked as “Allocated Data” and when the system deletes it, it is marked as “Unallocated Data” and disappears from the device – while remaining in the device. Therefore, do not use iPad (downloading new apps, updating apps, or using the camera etc.) after data deletion because the new data saved on the device can overwrite the lost data. in such cases, using a third-party data recovery software is the best solution to recover data from iOS devices. This whole process seems a little bit problematic? As iOS devices are known for data security and safety, make sure to keep making backups of your data regularly to avoid such problems. Q 2. What is A Good iPad Data Recovery? There are countless numbers of iPad data recovery software available on the internet. Make sure to select a data recovery program liable to a set of standards. An ideal data recovery for iPhone must have the following characteristics. Able to provide an utmost probability of data retrieval. Compatible with most iOS versions and devices. Able to recover multiple data types. Comes with efficient customer support. When it comes to iPad data recovery, nothing stands above iMyFone D-Back. 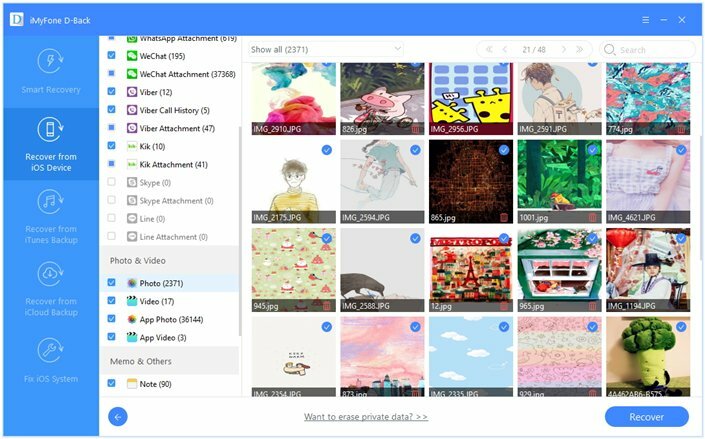 Coming with multiple data recovery options, easy-installation, user-friendly interface, and compatibility with almost all iOS device, this data recovery software has become the people’s choice. 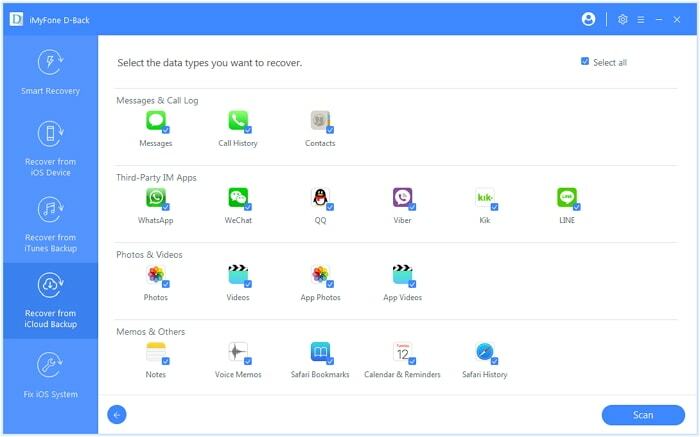 For now there is no toally free iPad data recovery, but you can try the free trial version of D-Back before purchasing. 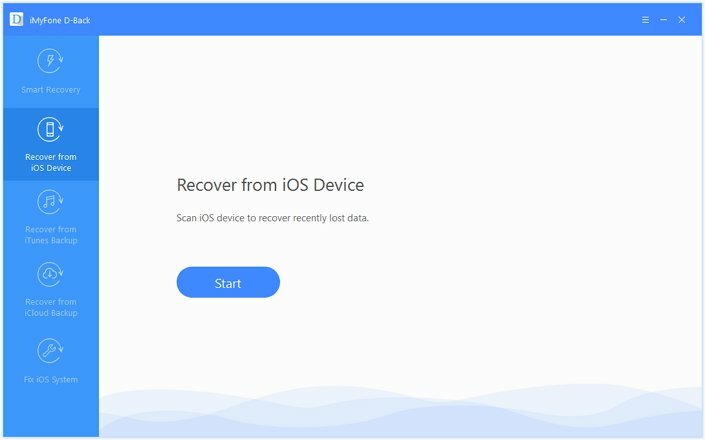 iMyFone provides the accessibility to recover iPad contents either directly from the device, iTunes backups, or iCloud backups. You can recover the deleted files fully or selectively which is not possible when using the iTunes/iCloud backups in an official way. It supports almost all iOS data types including notes, contacts, video, voice memos, WhatsApp, call log, and more. 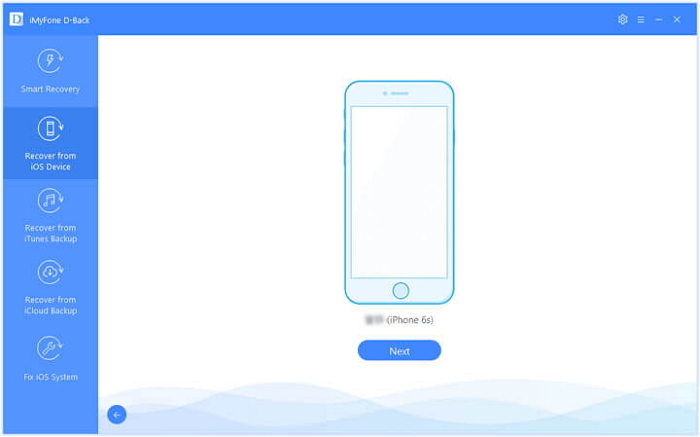 Step 1.Launch iMyFone D-Back on your computer and select “Recover from iOS Device”. Press Start. Step 2.Connect iPad to computer using a USB cable. Click “Next” when the program detects your device. Step 3.Choose the file types you want to recover from various options shown and click “Scan”. Step 4.When the scan is completed, the iPad data that is recoverable will be shown. Select the files you want to recover and then click “Recover”. Choose the folder or create a new one to save the recovered files. After you select, the recovery process will begin. The selected files will be recovered when the process completes. Step 1.Launch iMyFone D-Back on your computer and select “Recover from iTunes Backup”. Press Start. Step 2.All iTunes backups will be shown in the next screen. Choose the most relevant one and click “Next”. Step 1.Launch iMyFone D-Back and select “Recover from iCloud Backup”. Click Start. 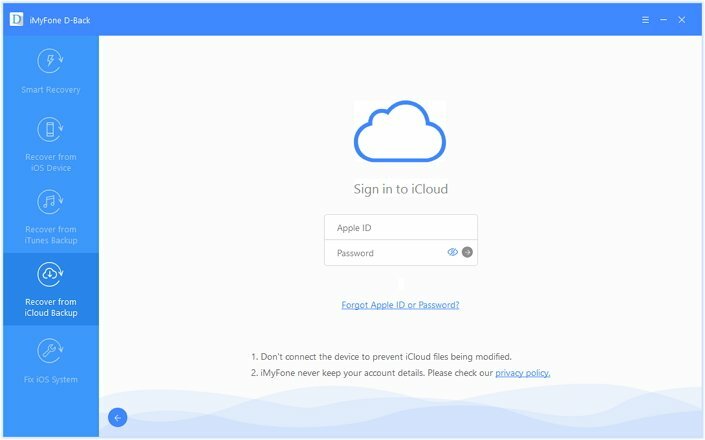 Step 2.Sign in to your iCloud account using the Apple ID and password. 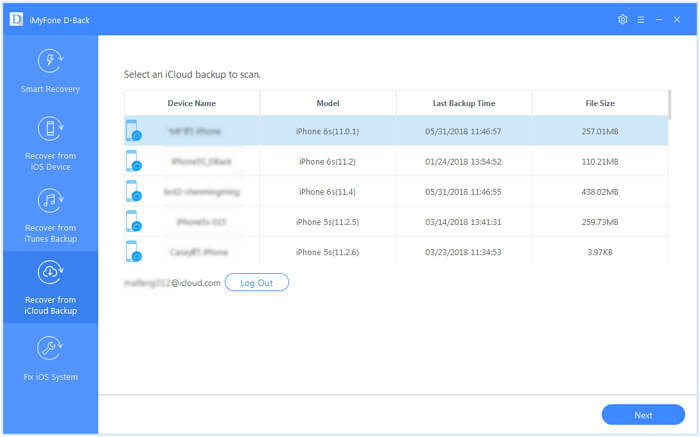 Step 3.All iCloud backups will be shown in the next screen. Choose the most relevant one and click “Next”. Step 4.Choose the file types you want to recover from various options shown and click “Scan”. Step 5.When the scan is completed, the iPad data that is recoverable will be neatly organized. Select the files you want to recover and then click “Recover”.Choose the folder or create a new one to save the recovered files. After you select, the recovery process will begin. The selected files will be recovered when the process completes. 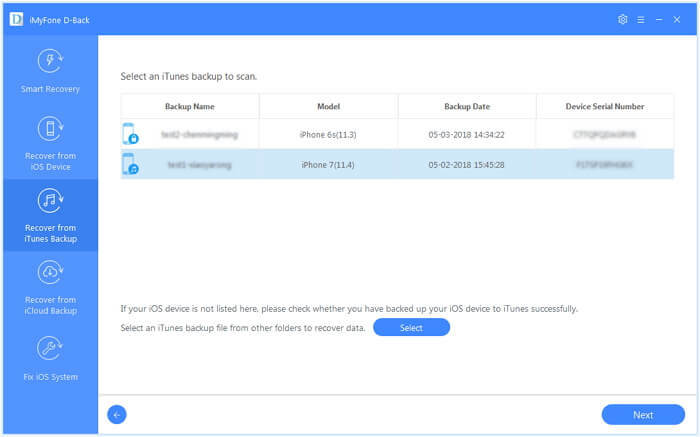 iTunes or iCloud Backups doesn’t allow viewing the files before recovery. You must restore the full backup to device and cannot recover files selectively. Current data will be lost after official iTunes/iCloud backup restoration process. You may end up retrieving some of the data that you intentionally deleted. Therefore, using a third-party data recovery solution like iMyFone D-Back is the best solution with little to no hassle at all. With important data being stored on the iPad, the data lost problems should be dealt with as soon as possible. Make sure to make regular backups of your iPad regularly to avoid data loss problems anytime in near future. So far, using a third-party software like iMyFone D-Back is certainly the best solution for iPad data recovery. Using D-Back, you cannot only recover the files without backup but also preview the files before restoring them. Sounds fair enough? We hope the above solutions can help you recover the iPad data without any hindrances. In case of further questions or suggestions, feel free to leave a reply below.